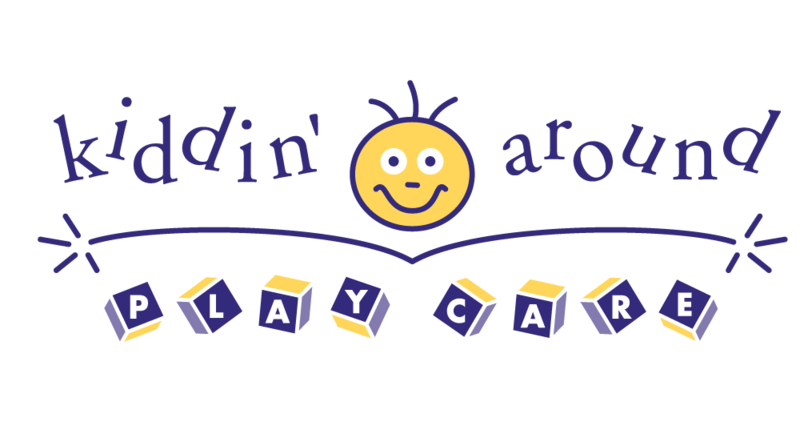 Kiddin’ Around is an upscale drop in play care facility designed with your child’s enjoyment in mind.Since August of 2000, we have been the premier drop in center for the Dallas/Fort Worth area. Our specially designed centers are constructed from the ground up to provide a safe and friendly environment where kids can interact, play and learn from other children. Parents can relax knowing their children are being watched by professionally trained caregivers. Kid’s play is our business. WHAT IS A DROP-IN PLAYCARE? A drop-in playcare center is run very similar to traditional daycare, with a few exceptions. Our staff receive the same type of training as daycare employees. They are first aid and CPR certified, have early childhood training, have experience working with kids, and undergo state mandated criminal background checks. We are also licensed by the state to operate under the same regulations that apply to daycare’s. WHY USE A DROP-IN PLAYCARE? We charge a lower rate than typical adult babysitters who are paid for watching more than one child during the day, evening or weekend hours. 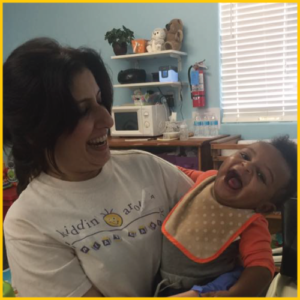 We provide snacks and meals so you do not have to worry about your child being fed while they are in our care. Your children will not only be provided excellent care, they will also get to interact with other children of similar age, enjoy the various play areas in our facilities and engage in structured activities that our care givers plan. Kiddin’ Around Playcare was founded by two Coppell mothers, Debbie Williams and Gina Jones who recognized the need for a safe and fun place for kids to be. They realized that there was no place that they could drop their kids off, where they could be assured that they were being cared for by someone loving, who had childcare experience. A place where their kids could interact with other children in a fun environment, in their neighborhood. They opened the doors of Kiddin’ Around Playcare in August 2000 and it has been our greatest pleasure to be able to serve thousands of kids who have since come through our doors. Allison joined the Kiddin’ Around staff in 2013. She attended Collin Community College where she studied early childhood education. 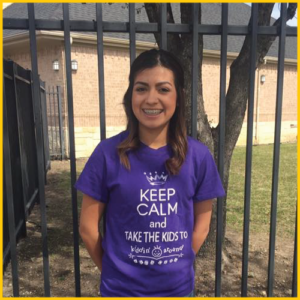 After leaving to pursue a career as a pre-k teacher she decided to come back to be the director of our Frisco facility. 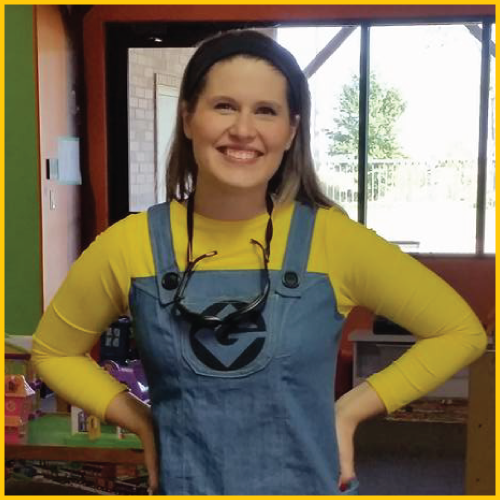 Allison is a mother of two and absolutely loves watching children learn and grow. We are so lucky to have Allison as one of our directors. Ana Joined Kiddin’ Around Plano in May 2014 with 9 years of teaching experience in a Junior High School while living in Mexico City. She attended college at Escuela Normal Superior de Mexico where she obtained a bachelors degree in Secondary Education and certified to teach English as a second language. Ana enjoys spending time with her family and has an adorable 9 year old ShihTzu named Saya. Her hobbies include making amigurumi dolls and watching movies. 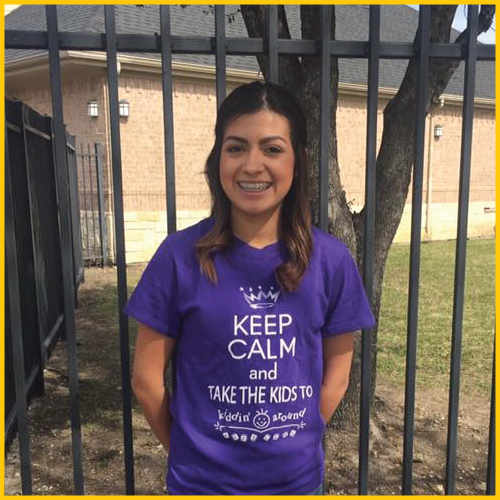 We are proud to have Mrs. Gazanini as our Director at Kiddin’ Around Plano. Carei is the Director of Highland Village. She has been with the company for 2 years and have been in childcare industry for over 10 years. Carrie has a 10 year old daughter who will be in 5th grade in the fall of 2017. She has a fish and two dogs. Loves to be by the pool and BBQs and hanging with family and friends. Loves being a leader of a great team and working towards putting smiles on childrens faces as well as the parents and families too. Has a sarcastic sense of humor and keeps everyone laughing. 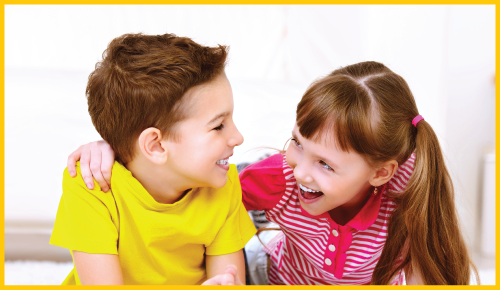 Kiddin’ Around requires staff to be cheerful, enthusiastic, respectful, fun, and encouraging towards all children. They must obtain at least 24 clock hours of childcare training annually, pass criminal history checks and be CPR and First Aid certified. We take pride in our staff being active participants in you child’s adventure at Kiddin’ Around. Most our staff being moms themselves know what it takes to raise kids…a lot of love and patience. Some of our younger staff bring in new energy and the kids love playing with them. 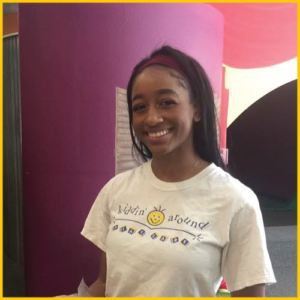 A few of our employees have come to Kiddin’ Around as kids themselves and it says a lot when they chose Kiddin’ Around to come back to for their first job!